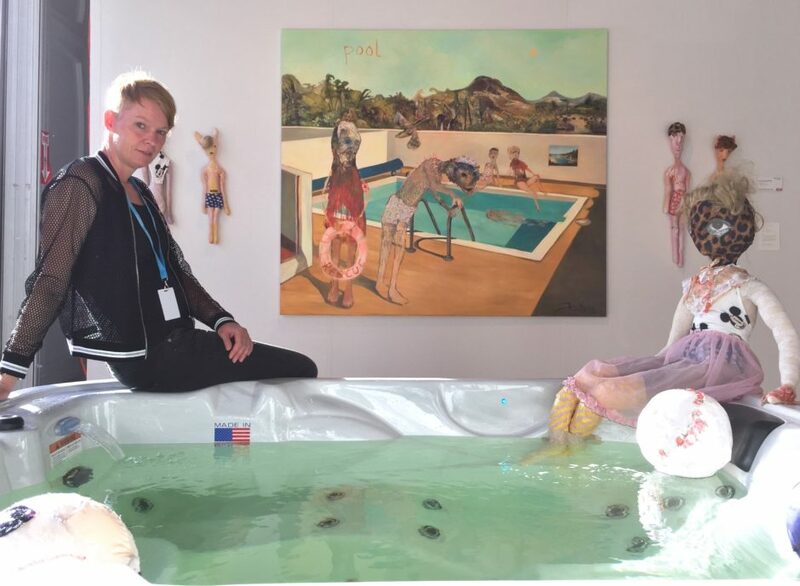 At Context Art Miami 2016, Knight Webb Gallery presented a solo show of Juliane Hundertmark, entitled ‘Hot Tub’. On the stand, the paintings and sculptures were arranged around a real hot hub. 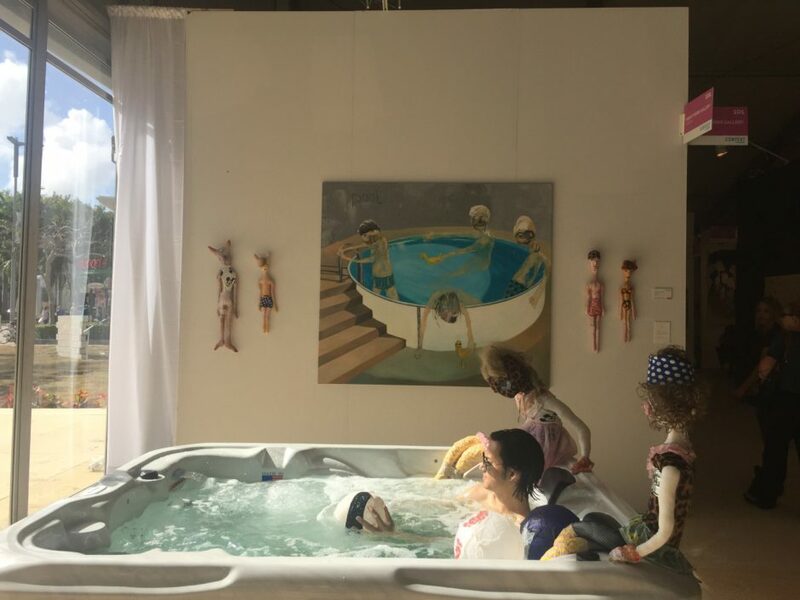 Placed within the tub were hand made figures and animals of varying scale, some life size and others diminutive. In the context of the installation, the paintings hanging on the walls were the artist’s own captivating mixed media works on canvas and paper. The tub reflected and emphasised the paintings and encouraged a degree of interaction, thus allowed a thorough and personal exploration of the artist’s work.